It is 1:30 AM Sunday morning in North Carolina, 7:30 AM here in Monterosso on the Italian coast. Internet for the past two or three days has been pretty spotty and I am three days behind on getting updates to our travel blog completed. Please pardon the abbreviated comments as I try to get caught up. The image below shows the elevator shaft in the hotel we stayed at in Rome. There were 84 steps I climbed in Florence to get our luggage up to the top floor (fourth or fifth, I don't remember for sure which). In this hotel, we were on the fifth floor (remember that the main level is zero), so we are six floors up in this hotel. The elevator had some weight limit, and three people with luggage were too much. Oh well . . . I never did count the steps here. They were closer together and a whole lot more of them! We visited the Vatican on Thursday. Besides thousands and thousands of people, we saw a huge bronze pinecone which was on display. It had at one time been a fountain at a temple in Rome. 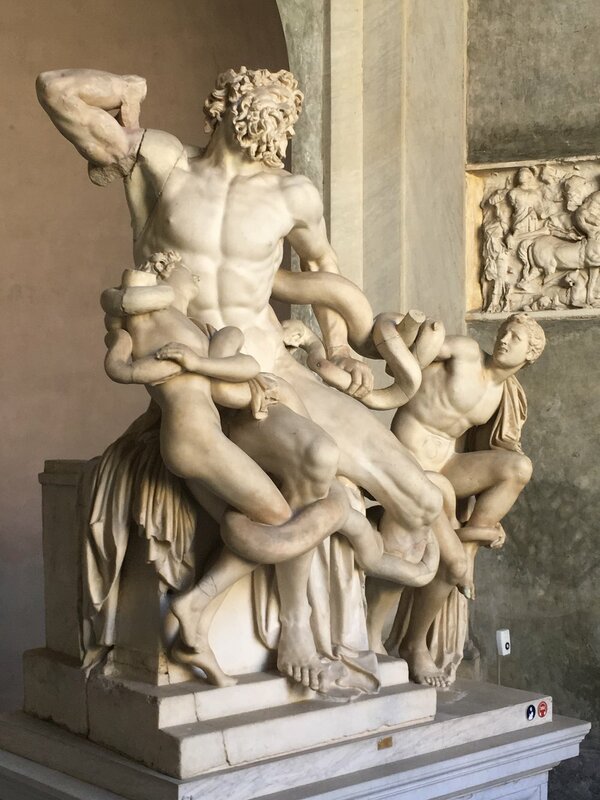 The statue of Laocoön and His Sons,which was unearthed in Rome in the early 1500's is on display at the Vatican. 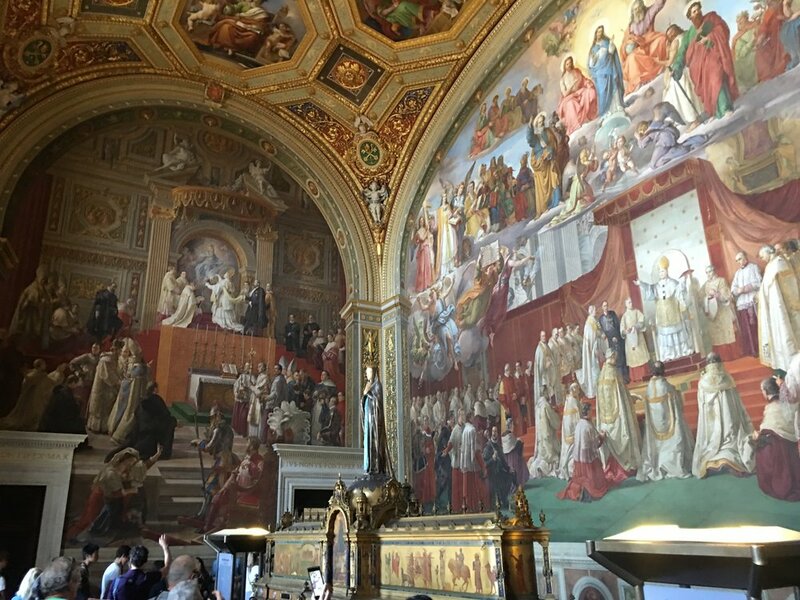 Everywhere you looked in the Vatican museums, there was art, even on the ceilings. We were not allowed to take photos in the Sistine Chapel. Inside the Pantheon looking up at the ceiling. 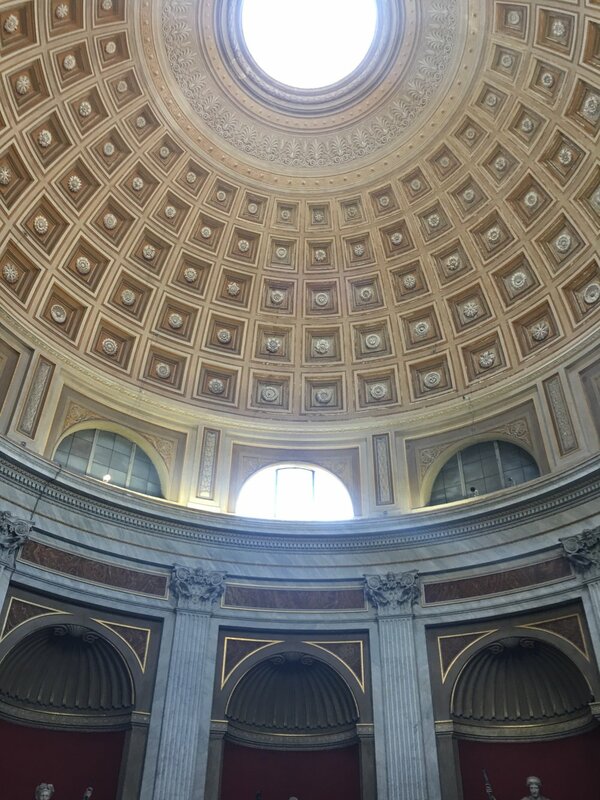 Um, wait, this may have been a dome inside the Vatican that looked much like the ceiling in the Pantheon, I'm not sure now. But it is beautiful! 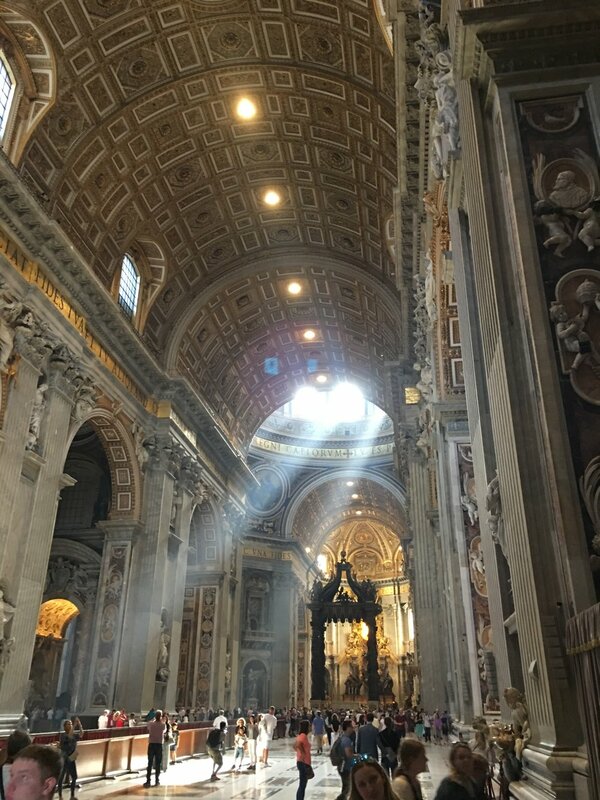 I think the photo below was taken inside the Basilica of St. Peter. The inside of St. Peters. Swiss guards outside of the Basilica. The vast courtyard in front of St. Peters. 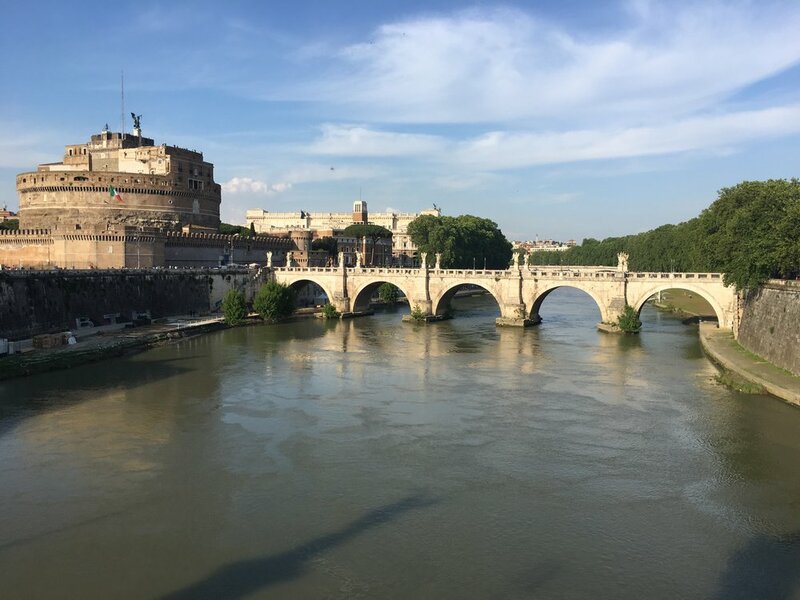 Hadrian's tomb in Rome at the left, and bridge over the Tiber river.